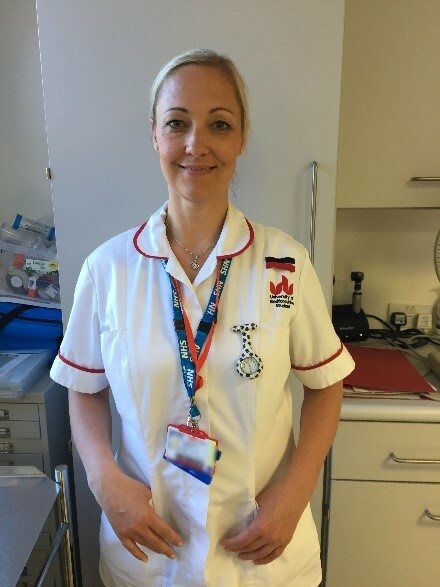 Cassandra Pinner, an Adult Nursing graduate at the University of Bedfordshire, shares her experience of education and working in healthcare. “I took A-levels when I was 18 and then did admin jobs. When I had my two children I worked with nurses at a children’s centre and decided I wanted to become a nurse. Initially I applied to the university to study children’s nursing but didn’t get in, so I did volunteering then paid work at our local hospital in Bedford. It was there I decided I wanted to study adult nursing. I applied for the three-year degree at the University of Bedfordshire and this time I got in. At first it was overwhelming, studying full time with two children. I also have epilepsy. But there was quite a bit of flexibility around the course and the placements, which I managed to fit in around breakfast and after-school clubs. My mentors were fantastic. There were plenty of other mature students on the course. In fact, we were a mixture of younger and older students, from all sorts of backgrounds, and we all got on really well.